Why Are Pennsylvania Accident Victims Entitled to Money Compensation? Since there is no way to turn back time and force the Defendant to be more careful and prevent the accident from occurring, Pennsylvania law requires the Defendant to pay fair compensation to make up for the harm. It’s the job of the Jury to set the amount of money compensation in a Pennsylvania Personal Injury Case. The compensation is meant to equal the harm. It’s not the Lottery. It’s not a gift. Instead, the Jury is responsible for coming up with a fair amount of money to equal the harm caused by the accident. Juries often have Political or Philosophical objections to awarding Money Compensation in Pennsylvania Personal Injury cases. When Jurors are picked to serve on a Jury in a Personal Injury case, they must all promise to follow the law, which includes promising to award compensation if they find the Defendant liable. In reality, though, bias against Personal Injury Cases and victims runs deep, so it’s hard to find fair Jurors who will follow the law. It would be nice if Juries could see past their own prejudices and self-interest and treat the Plaintiff how they would like to be treated if the shoe were on the other foot. As a Personal Injury Lawyer the only thing that I ask is that a Jury follows the law and his fair in terms of its evaluation of a case. 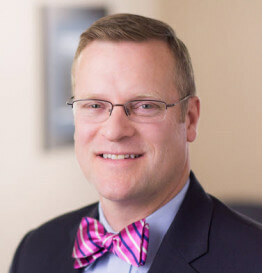 Tim Rayne is a Pennsylvania Personal Injury Lawyer practicing with the Chester County Law Firm MacElree Harvey. For nearly 25 years, Tim has been helping injured accident victims understand their legal rights and receive fair compensation from insurance companies. Tim has law offices in Kennett Square and West Chester Pennsylvania. Contact Tim at 6108400124 or [email protected] for a Free Consultation regarding your legal rights after an accident.